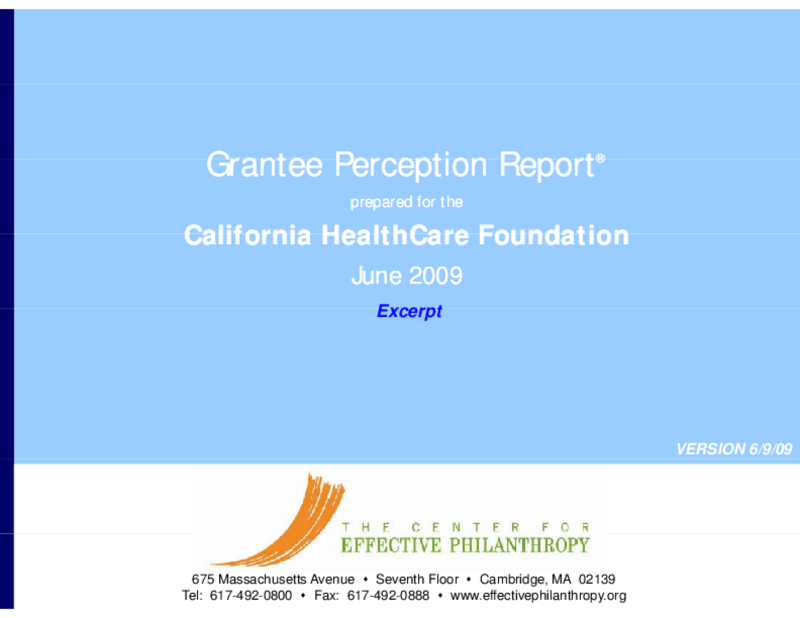 Excerpts grantee survey results on CHCF's interactions with grantees; understanding of, advancing knowledge in, and effect on public policy in their fields; impact on grantees and communities; selection process; and other measures. Includes comments. Copyright 2010 by The Center for Effective Philanthropy (CEP). All rights reserved.